"Early 2016 when her career accelerated, her distinctive Tech House sounds accompanied by dark but subtle Techno vibes received big appreciation at prime Dutch stages Project Underground, Club NL and Magistrat. During her constant progression of knowledge and experience in the Techno scene, her sound continues to develop on numerous levels. 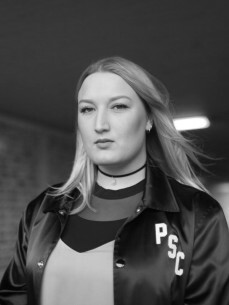 Grace now aims to deliver a skilled balance between energetic, atmospheric sounds and restless kicks in bass-heavy Techno. Since the start of 2017 she has been able to present her advanced sound at prominent stages such as Poema RAW and Supperclub Cruise. Her first festival debut at Play Festival is on it’s way, after earning first place of the Technostate Inc. DJ contest.